Lawrence Branco Sekalegga is Assistant Lecturer in music at the department of Performing Arts and Film, Makerere University. He holds a Master's Degree in Music Composition from Wesleyan University, USA. He has a Bachelor's degree in music from Makerere University, a Diploma in Vocal Performance and Vocal Teaching from Kampala Music School (ABRSM), a Diploma in Arts Management from Michigan, USA. Lawrence has a great experience and passion in working with children/youth and communities using music as an agent for social chance and economic development. Branco believes that music has the power to bring peace, joy and economic empowerment to humanity. In 2004, he co-founded Bitone Children's Center and Troupe, an organization that uses art to restore the hopes and enhance the quality of life of disadvantaged Ugandan children who are traumatized by the death of their parent(s), loss of home, war, disease, or economic hardship (www.bitonechildren.org). As a performer, he has performed in Germany, USA, Ethiopia, Kenya and Tanzania. A proficient player of Ugandan xylophones, bow harps, drums and keyboard, Branco offers to the listener an opportunity to not only enjoy the novel style but also at the same time experience the composition nature and performance logics of his musical language. 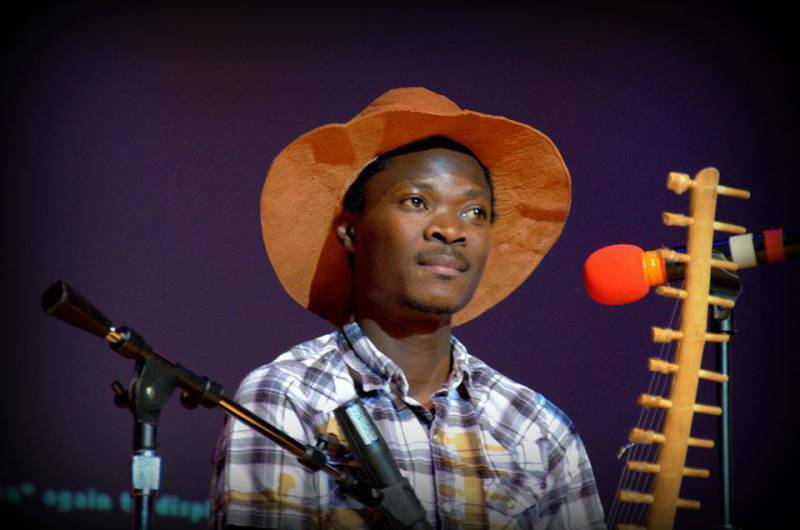 As a person with a multicultural musical experience, Branco's contemporary composition language fuses Ugandan traditional musical idioms with the western music elements in order to contribute a unique voice to the art of music.